Heather Kipnis is an entrepreneur in the field of music teaching and soul healing. She is an up and coming recording artist who combines a passionate musical education with spiritual awareness. 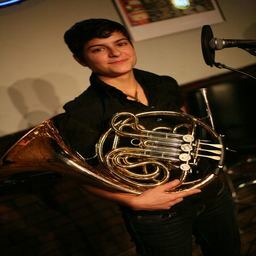 Her background is with the French Horn and she holds a Bachelor's Degree in Music Education from the University of Illinois at Champaign-Urbana. Since graduating, she has worked as a music teacher in the states of Illinois and California as well as the country of Ecuador. She also holds certificates in various healing arts, the most recent being Sound. Music, and Voice Healing from the California Institute of Integral Studies. Heather currently resides on East Bay of San Francisco as an active member of the local music and spirituality community.